Mollie Babize worked in community organizing and journalism for 14 years before discovering the field of landscape planning and design and the Conway School. Following graduation from Conway, she worked in both public and private sectors: as Land Use Planner for the Town of Amherst, MA in the development-crazed late 1980s, and as Design Associate for Walter Cudnohufsky Associates in Ashfield. 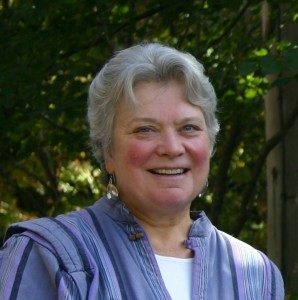 Her projects at WCA have ranged from town-wide Open Space and Recreation Plans, agricultural preservation plans, and town-wide visioning, to the design of a green cemetery, preservation strategies for historic town commons, and a streetscape design for the historic village of Lenox, MA. From time to time, she has filled various positions at Conway: Administrative Director (1992-98), Planning Adjunct (2006-2011), Associate Director for Admissions (2011-2013). She returned to Conway for the winter term 2016 as Planning Adjunct at the Easthampton campus, where once again she feels enriched by the community of lively students.